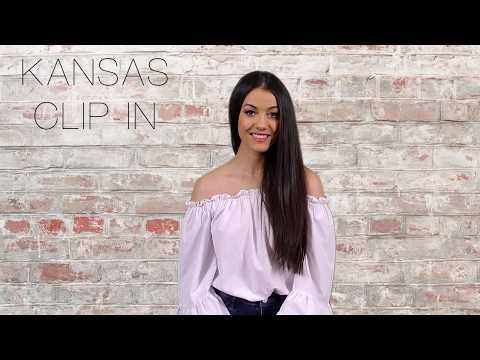 The Kansas clip in hair extensions is made of 100% human hair and is perfect for adding natural length and volume in seconds. You can curl or straighten the Kansas but do not dye. Each pack contains one strip of hair weighting 90 grams and the length is 20 inches.